LINK Development prides itself for receiving a number of prestigious local, regional and worldwide awards and recognitions, from Microsoft as well as from leading government agencies, non-government organizations and independent industry layers. Microsoft Dynamics Inner Circle, is an elite group of the most strategic Microsoft Dynamics partners from across the globe with sales achievements that rank them in the highest echelon of the Microsoft Dynamics global network of partners. 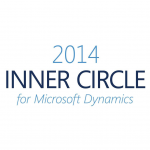 Members of the Microsoft Dynamics Inner Circle have performed to a high standard of excellence by delivering valuable solutions that help organizations achieve increased success. 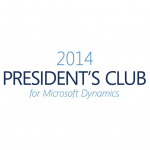 LINK Development has been renamed for the 4th time to the 2014 President’s Club for Microsoft Dynamics! This prestigious group represents the top 5% of Microsoft Dynamics partners worldwide who reach key business milestones while maintaining a constant dedication to high levels of customer satisfaction and technological advancement.